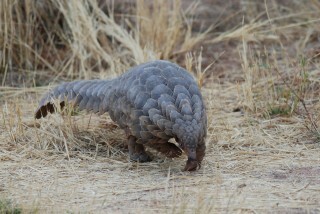 It was a cool, gray day when I encountered a Temmick’s ground pangolin in northern Namibia near the dusty commercial town of Otjiwarongo. The cloud cover offered a soft light in which to photograph the female as she searched for termites. Pangolins use their formidable front claws to open holes in termite mounds and long, flexible tongues to lap up the small insects. 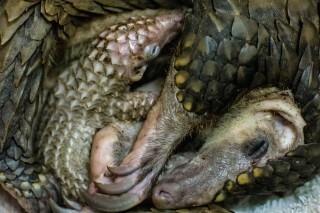 This particular pangolin had escaped an uncertain—and likely dire fate—in the illegal wildlife trade. Luckily, the people in possession of her were not professional traffickers and lost their nerve, handing the animal over to a local wildlife trust rather than risking arrest. 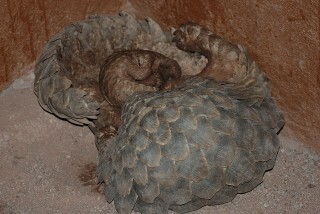 There are eight species of pangolins, four each in Asia and Africa. All are increasingly threatened by a rapidly expanding trade in their scales which are thought to cure a range of ailments. Their flesh is also considered a delicacy in China and Vietnam. 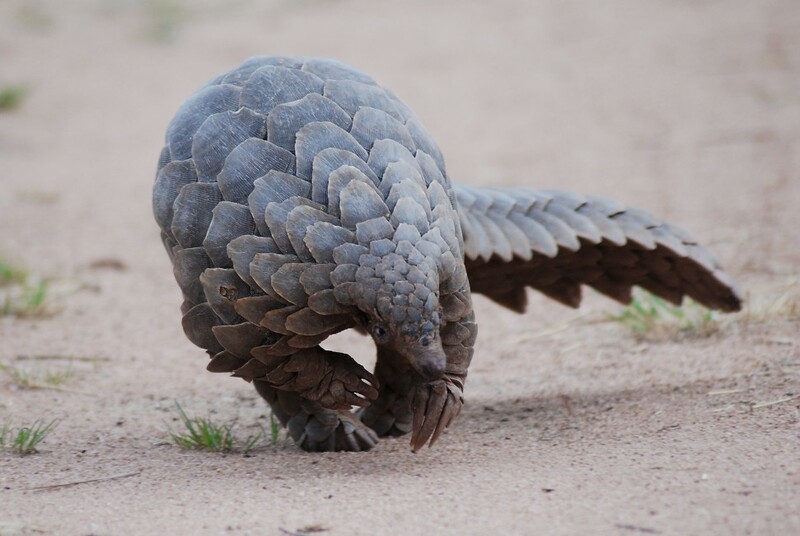 When people think of wildlife trafficking, elephants and rhinos easily jump to mind, but it is the unassuming pangolin that is the most trafficked species in the world today. EDITOR’S NOTE: February 17 is World Pangolin Day, a time to raise awareness about these unique mammals – and their plight. Pangolin numbers are declining in Asia and Africa.